You'll Get a Kitty Cat High Five, for Wellness Super5. Wellness Super5Mix Canned Chicken Recipe contains high quality protein from chicken, sweet potatoes, carrots, whole cranberries and blueberries, and is an excellent source of vitamins, minerals and beta-carotene. 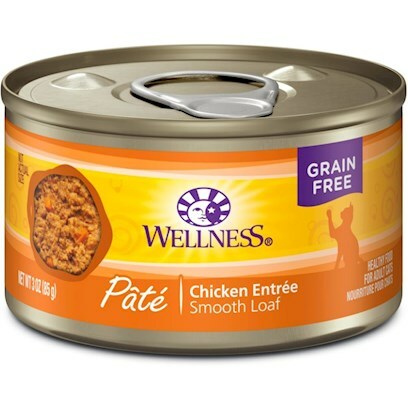 You don't have to worry because Wellness Canned Chicken Recipe is free of added hormones and steroids. Every ingredient in our Wellness natural food recipes is carefully chosen for its nutritional benefits providing just what your faithful friend needs for a happier, healthier, longer life, claims Wellness.